You’ve probably seen those claw machines that charge you a fixed amount of money for the chance to manipulate the claw to grab a toy and drop it in a bin within a fixed amount of time. Most of the time, people fail to manipulate the claw in time so they wind up with nothing. However, one man in Turkey discovered that the claw machine filled with stuffed animals actually included a live cat. As soon as the claw dropped nearby, the cat woke up and batted it away. When the claw was inactive, the cat went back to sleep. Perhaps if claw machines held live cats instead of cheap stuffed animals, more people would want to play them. 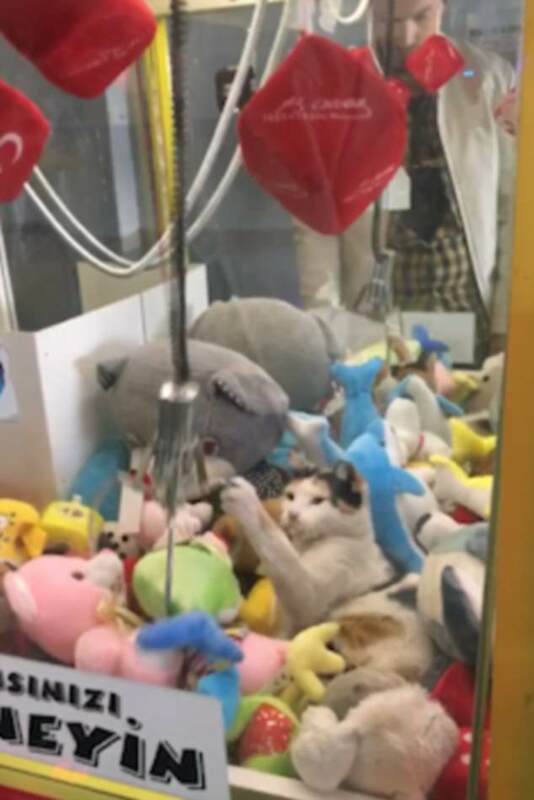 To read more about the cat inside a claw machine in Turkey, click here.